Latest Design Option 5-2, Vessel Sink » Roger Perron Inc. Behold a neat powder bath created for owner satisfaction, with a very practical design as well. The vessel sink has become popular and works quite well for a powder bath. The open bottom of the cabinet makes for a more spacious feeling, so that the floor underneath is continuous. 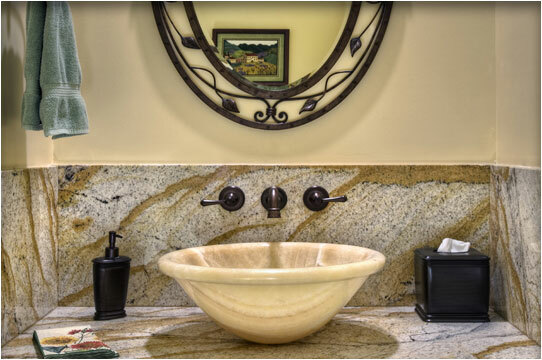 The smart use of granite creates balanced symmetry.